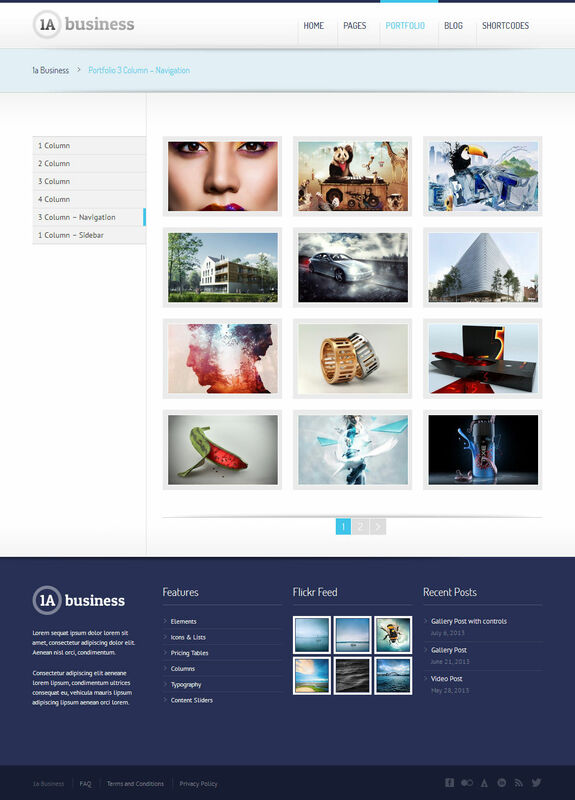 1ABusiness is a flexible and modern responsive WordPress theme. It was conceived to serve a wide range of possibilities in different business areas. The sleek design and the maximum of technical possibilities offer the optimal condition in order to adjust the theme to specific needs and to your own corporate identity. Additionally, 1ABusiness was designed for optimal use on tablets and smart phones. As this theme was developed with the newest technologies in HTML 5, CSS3 and jQuery, with an attention to detail and high browser compatibility it is one of the most innovative, and simultaneously, technically mature products in the area of premium WordPress themes. Our extensive tests and our long standing know-how guarantee an extraordinary user experience. Easy and intuitive handling enables you to work quickly and efficiently in daily business. 1ABusiness includes the dramatic Revolution Slider (retail price $15), the FlexSlider 2(our theme slider) and the jQuery Cycle plugin (image slider). See for yourself and check out further advantages. Update notifier shows when a new version of the theme is available in the backend.